We’ve all seen the news inundated with stories these past two weeks about the widespread problems with the foreclosure process, not only here in New York, but across the country. Now, New York’s Chief Judge, Jonathan Lippman, essentially said “enough is enough” with the sloppy and often incorrect papers that many foreclosure attorneys are filing on behalf of their mortgage and banking industry clients. This week he imposed a new court rule directing attorneys for mortgage lenders to take certain steps to make sure the papers they file are accurate. Effective immediately, foreclosure attorneys must engage in due diligence to verify the information contained in the documents that they file in foreclosure cases in New York. This new verification requirement is a court rule as opposed to a law promulgated by the legislature, and lawyers can be severely sanctioned for non-compliance. Apparently Judge Lippman has become appalled at the number of banks who have employees signing thousands of mortgage foreclosure documents a day — a feat that is physically impossible to do without reviewing them for accuracy. Articles about the robo-signers have been front-page news lately as we have learned that a great number of homeowners have lost their homes because the banks submitted incorrect, backdated, or downright fraudulent documents to the courts. For years, many foreclosure attorneys and their mortgagee clients have been playing fast and loose with foreclosure paperwork. In my Long Island foreclosure defense practice, we have routinely come across backdated assignments and related mortgage documents. In the past, when we brought these irregularities to the attention of the court as a foreclosure defense, the court would, at most, dismiss the case. Now, however, under this new law, bank attorneys will be much more hesitant to submit clearly erroneous or improper papers as they will now face serious sanctions for being a party to a fraud. What Does the New Foreclosure Verification Rule Mean to the Homeowner Facing Foreclosure? 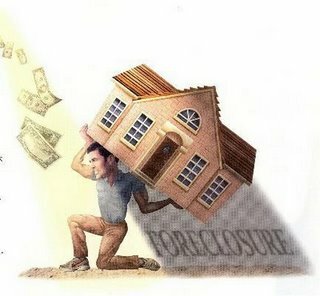 The new law will force foreclosure attorneys to think twice before blindly submitting foreclosure documents to the court. As a result, the entire foreclosure process in New York will be slowed down until the bank’s attorneys become more equipped to fulfill their due diligence requirements. 1. The new law will delay the inevitable foreclosure proceeding by a period that could be weeks or months, giving homeowners in foreclosure more time before they have to eventually leave their homes. 2. Innocent homeowners will be safeguarded, at least to a certain degree, from banks who previously abused the foreclosure system by taking illegal shortcuts. 3. Foreclosure defense attorneys such as myself, may have an easier time resolving some contested issues with bank’s attorneys as the new law will give us leverage in personally calling the bank’s attorneys to task when irregularities are found. This is because the foreclosure verification requirement imposes a continuing duty on counsel. Thus, if they later learn that a previously-submitted document is false or inaccurate, they must then immediately take corrective action. 4. Thousands of homeowners who are in default will be in a better position to have their rights safeguarded, now that the court is looking after their interests as well. I personally think it’s about time the court system imposed some reasonable standards on attorneys for banks and lenders. The practice of robo-signing documents is certainly unfair to homeowners. Now bank attorneys will not be able to so easily submit robo-signed documents to the court, as they will be required to verify the information they contain. Consumers who have defaulted on their mortgages and find themselves in foreclosure should not assume for one minute that the this rule, by itself, will stop the foreclosure or enable them to assert their rights. Homeowners should continue to consult with a foreclosure defense attorney to discuss their rights and learn about steps that can be taken to protect their home. Click here to see a number of other posts on my blog about New York foreclosure defense information.